"She shouldn't have to be put on a bus and spend 45 minutes on a bus one way to go to school," explains Pat Howey of her daughter's experience at six years old being sent to a school for children with physical disabilities. Pat discusses her educational advocacy for her daughter in the late 1980s in Tippecanoe County, Indiana. She shares how those experiences lead her to become a nationally known special education advocate and consultant. Pat says, “I first got involved in special education advocacy pretty much the day my daughter entered kindergarten.” During her daughter’s school years, Pat helped build a strong advocacy movement in Tippecanoe County. “We were able to make a lot of changes. We had people filing state complaints. I mean, they were just active all over the place,” explains Pat. Today, Pat sees parents fighting the same battles she fought in the late ‘80s and early ‘90s. She says, “We are hearing the same things today that we heard back in the '80s and '90s -- we would love to do that, but we don't have the money for it.” Pat tells parents to stay vigilant. She recommends parents start requesting hearings and start filing complaints. 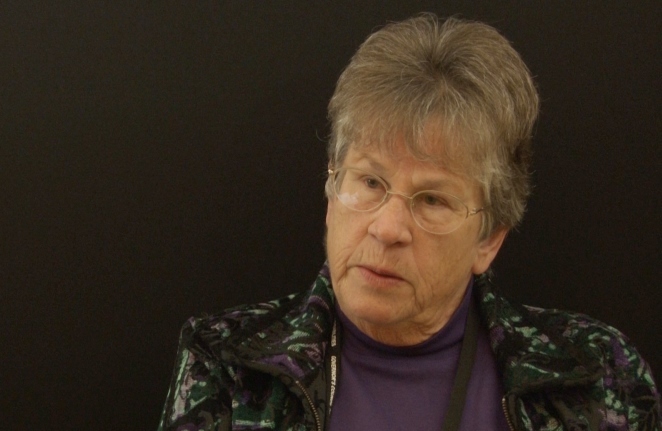 Pat Howey was interviewed in Indianapolis in 2016.